Work on Jam Skills at Home — or Anywhere! FREE Jam Info Library... scroll down! A super-easy, no-fail play-along session with Pete Wernick. Anyone, with any instrument, can get into this bluegrass jam session, even if you've never tried it before. All you need are four basic chords (G, C, D and A) to be able to play along with the band! This DVD will give you the practice and the confidence you'll need to join a real jam session. Pete Wernick makes it easy, providing encouragement, instruction and important advice on how to hold your own when you jam with others. By playing along with these top bluegrass musicians, you'll get a feel for the songs, where the chords change, how to enter a group, and even how to take a simple solo when the time is right. A DVD jam session that players of any level can get in on—perfect for novice bluegrass players who want to start jamming, or for any picker wanting to build experience and confidence. Take this opportunity to participate in a wonderful activity, and get ready for the "real thing" -- grab your instrument, put the DVD in the player, and pick along! You'll enjoy making music with Nick, Sally, Eric, Michael, Ben and Pete as they play through the repertoire at an easy-going, slow-to-medium tempo. They even leave a place in every song for you to try your own solo! A moderate-speed workout with plenty of soloing opportunities. 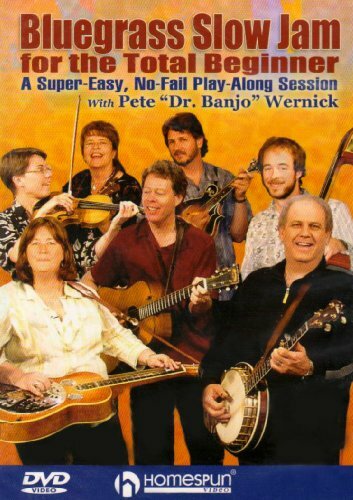 A full-to-the-brim DVD made especially for bluegrass pickers who want to take their jamming ability to the next level. It will help you build your repertoire and will vastly improve your confidence so you can join in and jam in any situation. You'll learn the ins and outs of jamming: backup basics, playing the melody, using a capo, essential jam etiquette and even what to do if you get in a musical "train wreck." Two hours of the instruction you need to play backup! 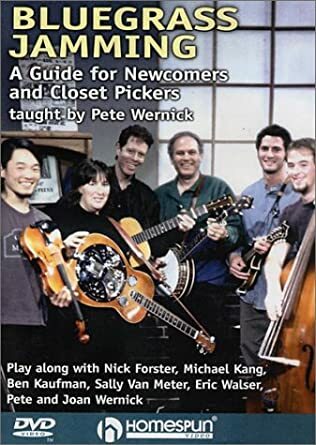 Pete Wernick developed this lesson especially for new pickers. Based on footage of bluegrass jam sessions, Pete shows in slow and clear detail the techniques you'll need to fit into a real jamming situation. 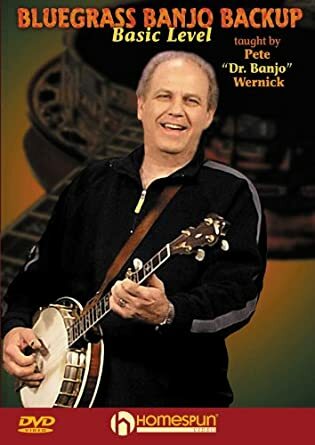 You'll move from the simplest strum for the total beginner to chord vamping, rolls, up-the-neck positions and many of the fill-in licks that banjo players use to spark the bluegrass sound. 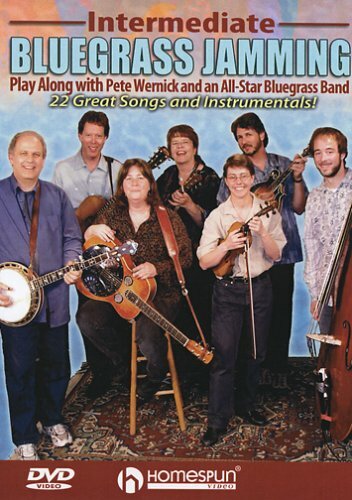 Words and melodies for 140 classic bluegrass songs! 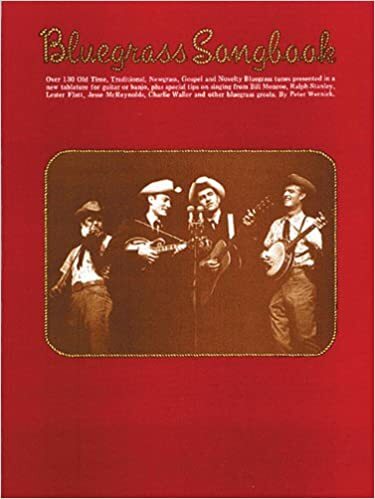 Over 130 Old Time, Traditional, Newgrass, Gospel and Novelty Bluegrass tunes presented in a new tablature for guitar or banjo, plus special tips on singing from Bill Monroe, Ralph Stanley, Lester Flatt, Jesse McReynolds, Charlie Waller and other bluegrass greats. 2- and 3-chord songs playable in any key. With YouTube Playlist! The JAM Songbook is perfect for all jammers, including complete beginners! 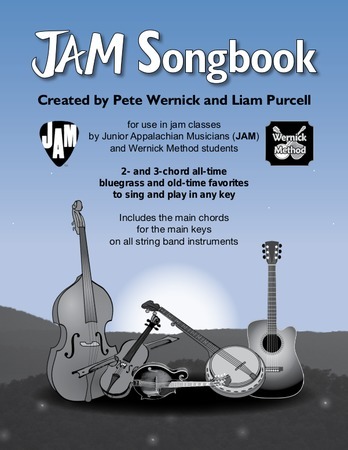 The JAM Songbook will also be provided to students in all Wernick Method jam classes worldwide in 2019. The first skills to learn, in logical order starting with the essentials. The full ground rules of bluegrass jamming, from "musts" to suggestions, in concise format. List of over 100 standards at jams nationwide/worldwide. You can WATCH and LISTEN to excellent versions of every one! All jammers should be able to recognize these chords, for following along. Pick a song to hum as you play a chord, and let your ear tell you when to change chords and back. Awaken your ear skills! Best ways to find people near you, that you're best suited to jam with. Pete's time-tested steps for teachers and students, and why they work. Popular article, strongly recommended! Pete's Q&A section has a special 'jamming' category. Pete has used this method for decades and it has never failed!